Olmsted Manor Carriage House is in the village of Ludlow, on scenic Route 6, in northwestern Pennsylvania, surrounded by the Allegheny National Forest. 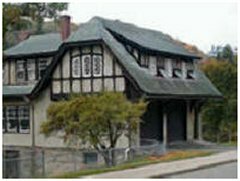 The Olmsted Manor Carriage House is part of the original Olmsted estate, and is located across the street from the Olmsted Manor. 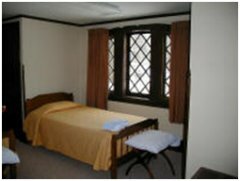 The Carriage House is a modest apartment located above the former Olmsted garage. Perfect for a private getaway, it contains two small bedrooms, a kitchen complete with full-size refrigerator, stove, and dishes for guest use, as well as a comfortable living room with a television set.